I was in a war-torn country not long ago and just before we left the last night or so we stayed in a kinda safe house. I was so excited for a decent bed and the heat that this building seemed to have. I had many cold nights falling asleep in the last place seeing my breath, texting back to the UK about how cold I was. I took my bag upstairs and saw a book shelf. I am a sucker for bookshelves. 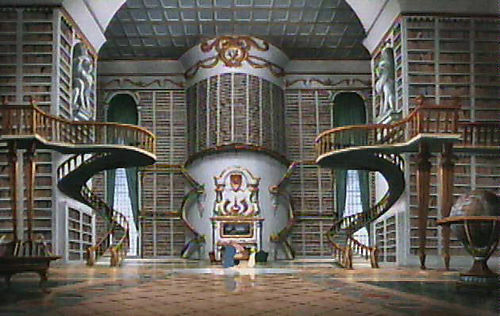 As a child I coveted Belle’s library and wanted one of my own someday. All of my travel and not owning a castle has made this aspiration difficult. I despise readers and kindles and other sorts of electronic book devices. What?! Not have paper pages to touch?! This is a shame for the craving I have to read coupled with again, moving around a bit and not living in a castle with a library 50 feet high. I dropped off my bags and backtracked quickly back to the bookshelf. I gasped a bit. At eye level was a book I recognized. I hadn’t read it but I knew it was written by my pastor from my home church in America. I was THOUSANDS of miles away in a very unexpected place to find this book, it’s spine eyeing me up on the bookshelf. I took it off the shelf and opened it up. It was a signed copy!! I laughed. So random. I was in the most random place on earth. And no offense to Joe and Bob who wrote the book.. I didn’t think their books would become THAT famous in circles to be making their way all over the non English speaking world. But I was delighted to get my hands on a copy because, well, it wasn’t in England yet! (But it was here… oddly enough) and so I settled in to read as much as I could before I had to fly. I like it a lot. And just finally bought my own copy this week so I could finish it. As I am settling in to read it from the beginning. I thought I’d leave you with a few excerpts. “Bob was a crisp, button-down Christian. He knew a lot about the Bible and carried it to church with him every week. He was the kind of guy who could teach adult Sunday school. He had a good reputation as an eye doctor and was a pretty upstanding citizen. Then the meltdown. He had an affair with a young woman at work. He divorced his wife Rita who taught at the local Christian high school. She was diagnosed with cancer not too long after that, which made Bob and even greater pariah. When fishermen are out for shark they do what they call “chum” – they throw bloody stuff overboard that attracts the sharks and drives them into a frenzy. Bob was a kind of Christian chum for awhile. We were the sharks. What he did and how he did it pulled out all the self-righteousness in our little community. We fed on Bob for a while until we finally lost interest. Bob disappeared and when he resurfaced years later he was completely different. “Church can be a little like a virus. If you are exposed as lot as a child you can develop an immunity. In bringing up my own kids, I thought about not allowing them to go to church until they were seventeen. Every week my wife and I would go but leave them at home. And then, on their seventeenth birthday we would finally let them go and discover the wonder and beauty of worshipping the true God. I thought maybe by staying home they would develop an immunity to television instead. Somehow I knew it wouldn’t work like that so I took a risk and brought them to church every week. 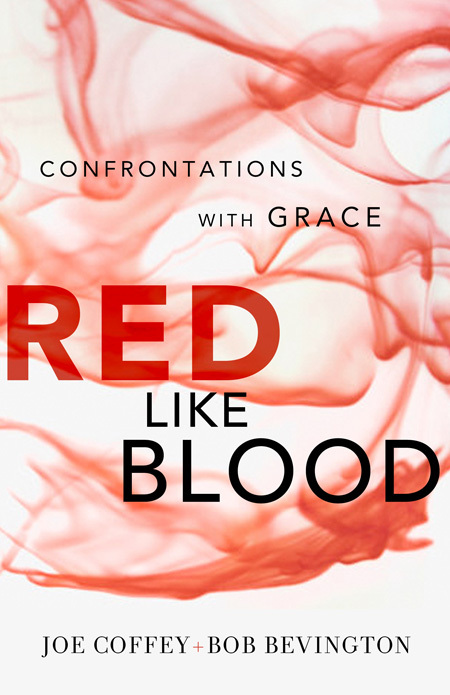 I had a professor named Sig who said that second-generation Christians could have interjects. According to Sig, interjects are beliefs these kids swallow whole that then sit there in the belly of the soul like huge pieces of meat. Eventually the kids need to throw them up, cut them into pieces, chew them, and then swallow them back down. He said the process could be violent. I think he was right. I could keep writing but then I can’t read it. So maybe I will just do that and you can get your own copy. Previous Post Bone Marrow Drives, My Church and the Cross.. reflections of the week..